The Early Learning Division received notification from the Consumer Product Safety Commission of a recall on widely used Kidde brand fire extinguishers. Please take time to check your fire extinguisher to see if it is part of the recall. Below is the recall summary. 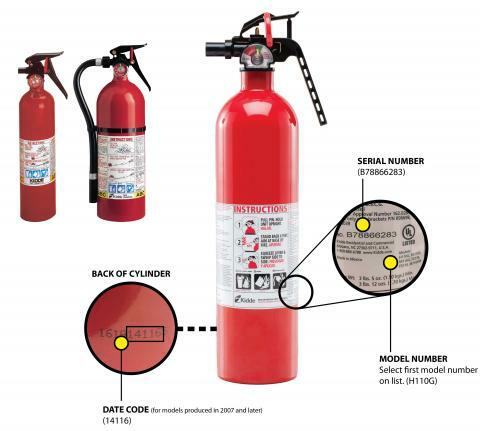 For more details and images of all the models for recalls, please visit the CPSC recall page for the Kidde fire extinguishers. Consumer Contact: Kidde toll-free at 855-271-0773 from 8:30 a.m. to 5:00 p.m. ET Monday through Friday, 9:00 a.m. to 3:00 p.m. ET Saturday and Sunday, or online at www.kidde.com and click on “Product Safety Recall” for more information.